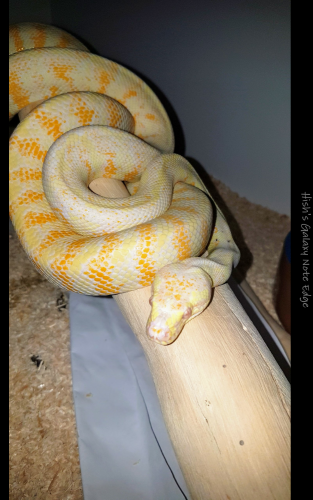 I have a 3 year old male albino darwin carpet python for sale. He is just over 2 metres long with fluorescent bright tri colours. 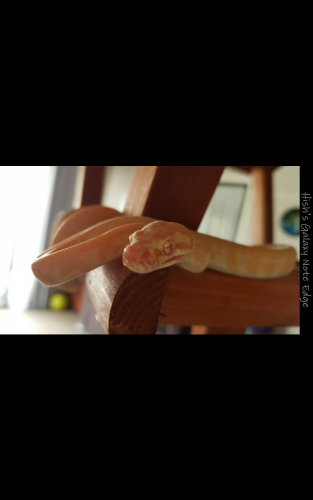 He is a very calm and easy to handle snake and has never bitten or striked at anyone. 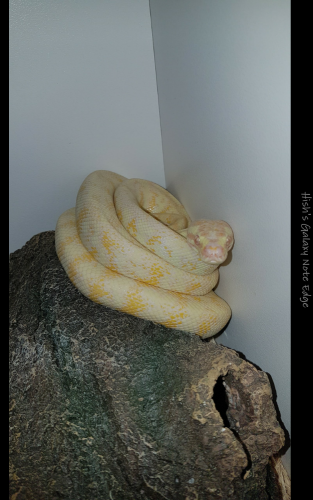 He also feeds and sheds with no problems. 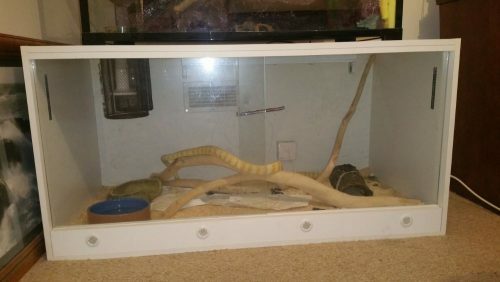 Included is his 4 foot enclosure that was purchased new when l got the snake and is in excellent condition. 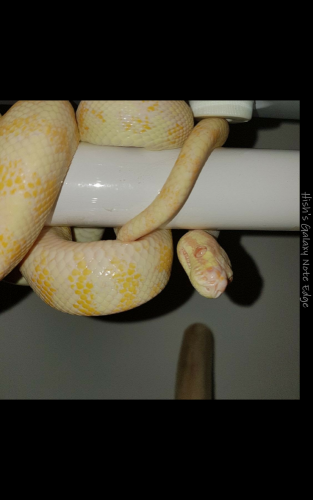 Also comes with lights hides and water bowl. I am not willing to sell separately sorry so dont bother asking. Located in Melbourne.